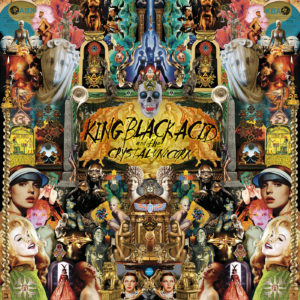 In March 2017, retro rock band King Black Acid released their ‘Twin Flames‘ EP. Despite ’17 barely being a few months old at that point, it was clear that the EP was special enough to potentially be one of the year’s best releases. Bringing together the sounds of Crazy Horse, Band of Horses and more besides (not necessarily horse related), its three tracks dropped the listener into a twenty minute musical cycle that was both other worldly and pretty much timeless. If ever there were a great example of music being utterly satisfying, then ‘Twin Flames’ most assuredly fit the bill.